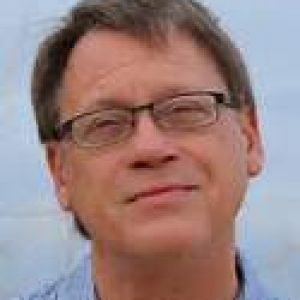 Bill Geroux said he wanted to write “an adventure story” when he finally settled on the approach he would take for Mathews Men, his wonderful book about the merchant mariners who captained and crewed the largely unarmed and unescorted ships that carried “everything the allied armies needed to survive” through contested waters. He did just that in his book published by Viking this year. 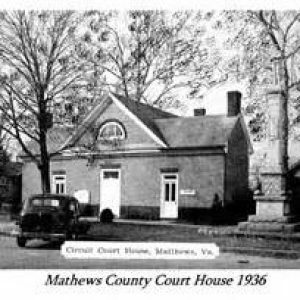 For the Mathews Men, this meant leaving their families left behind in rural Mathews County, at the very tip of Virginia’s Middle Peninsula “the cradle of sea captains and mariners,” as they had, their fathers had and generations before them. Their family names, and this is only a partial list, — Hodges, Callis, Hudgins, Hammond, Respess, Billups, Diggs, Forrest, Morgan — would fill pages of telephone books for Mathews and neighboring Gloucester counties, if they were still printed. For me, those names resonate, having lived a few hundred yards from Mathews across winding two-lane Virginia 198 from E.C. Sutton and Sons General Merchandise/post office at Dutton, Virginia, and spent many a Saturday heading to Gwynn’s [without the apostrophe then] Island to buy crab, shad roe and the catch of the day. In his recent talk at a Washington bookstore, Geroux described Captain Jesse Hodges, a tugboat captain as “consummate mariner and something of an SOB.” He and his wife Henrietta, the cornerstones of this work, had 14 children, six became merchant marine captains. The dangers they all faced, although largely forgotten after World War II ended, is strikingly brought home early on when Cuban fisherman found a signet ring in the belly of a shark with the initials GDH. These “ship-sinking machines,” like their prey, worked the Arctic — around Norway down to Murmansk where the Gulf Stream ends; the Atlantic especially the American East Coast where lights from shore helped silhouette their targets; the Gulf of Mexico including the Passes of the Mississippi, the Pacific and Indian oceans, as well as the Caribbean. For the families back in Mathews, there was the not knowing, then what do about remains — if any were found, but, more to the point, falling into that deep pit of sorrow that ran through their extended families. It was a sorrow over the “lost” that reverberated across this county of 7,500 residents where seemingly everyone knew everyone else. They knew in their hearts it could have been their kin. To be honest, many of these men had very little formal education — not even completing elementary school, but through sheer force of will and tradition rose to be master [captain] in the nation’s merchant fleet. There weren’t very many opportunities in Mathews for young men– maybe delivering newspapers on horseback, doing odds and ends on the truck farms or helping move things around the general store/post offices that dotted the county. But they had “grown up on the water,” knew their way around boats — no matter how small, for fishing, crabbing. Or if they took to the sea when they got older — no matter how large, no matter that it carried, explosives, fuel, tanks, food and the occasional passenger and there was a war on. Even if they shied away from what they considered a too formalistic hitch in the Navy, survived a sinking and were still able-bodied, and at one point for the Hodges over the strongest objections of their sisters, the Mathews men signed on again. In a very real way, they had to. Not only were merchant mariners needed; but if they didn’t put to sea, they could be drafted. The sinkings were “not well-documented battles,” but “isolated incidents at sea” where the survivors were at the mercy of their attacker. Some U-boat commanders showed compassion to the men in the open life boats or rafts offering food and water and even a tow part way back to the closest shore, but most didn’t. The commanders really had little choice — if they wanted to survive themselves. As a kid, growing up in Chicago, I slid myself through the cramped quarters of the U-505 at the Museum of Science and Industry in Hyde Park, almost on Lake Michigan, the only German sub captured during the war. It sank captain Mellin Respess’s and second officer Roland Foster’s Thomas McKean, 245 miles off Antigua in June 1942. Its cargo was gasoline, ammunition, small arms, tanks, trucks and 11 medium-range bombers. The Germans sent over a first aid kit to treat a severely wounded man. Fifty-five of the 60 men survived. The Navy’s policy was: convoys will come when we have enough destroyers and destroyer escorts [and “baby flattops,” small aircraft carriers] to do it. The turning point came in early 1943 when American shipbuilding was producing vessels faster than the Germans and Japanese were sinking them. When the war ended, the mariners kept sailing now taking soldiers, airmen and Marines back home; carrying food, goods and whatever back across the oceans to what was left of Europe, including Germany, and Asia, including the Japanese home islands. I know from talking with Navy World War II veterans, especially those that survived the “Great Marianas Turkey Shoot,” off Saipan in June 1944 and the “Last Stand of the Tin Can Sailors,” the two and a half hour sea battle off the Philippines in October 1944, that even in the late 1980s and early 1990s they argued heartily that the merchant mariners were overpaid, often drank; had cushy and safe jobs; and were little better than draft dodgers — entitled to nothing when the war ended or even a half century later. In truth, the Mathews Men and the merchant mariners only received belated and limited recognition of their contributions to the Allied victory in the war in 1988. About 5,000 of the 250,000 merchant mariners who sailed in World War II are still alive.